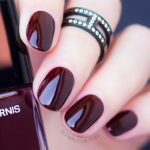 Chanel Taboo is simply one of the most beautiful dark nail polishes available and although Taboo has already made an appearance on my personal blog, I couldn’t resist showing it here too.The shade is so beautiful – it deserves a double feature! 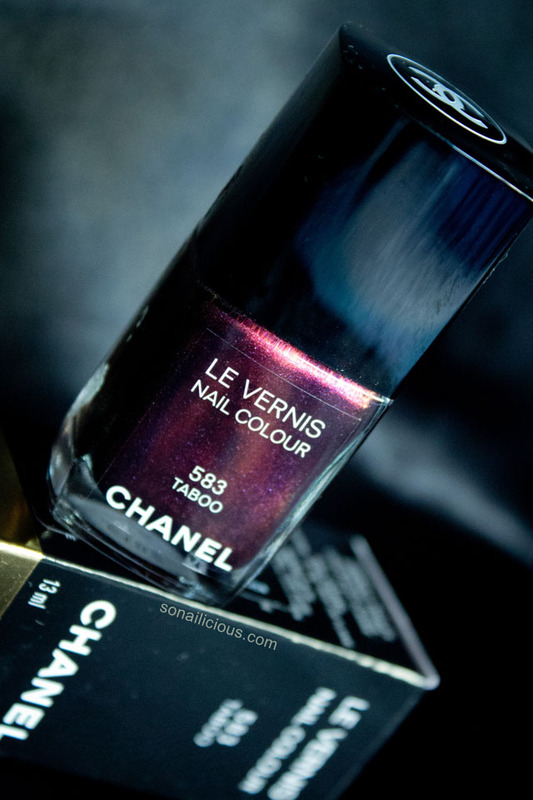 When it comes to producing ‘it’ polishes, Chanel leads the way. Think Peridot, Graphite or Boy, each one started a whole new trend. 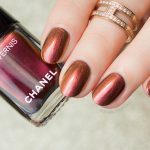 And even though Chanel has already shown us a glimpse of what’s coming next, Cosmic and Magic, if I had to choose the next trend in nail polish, I’d point to Chanel Taboo. 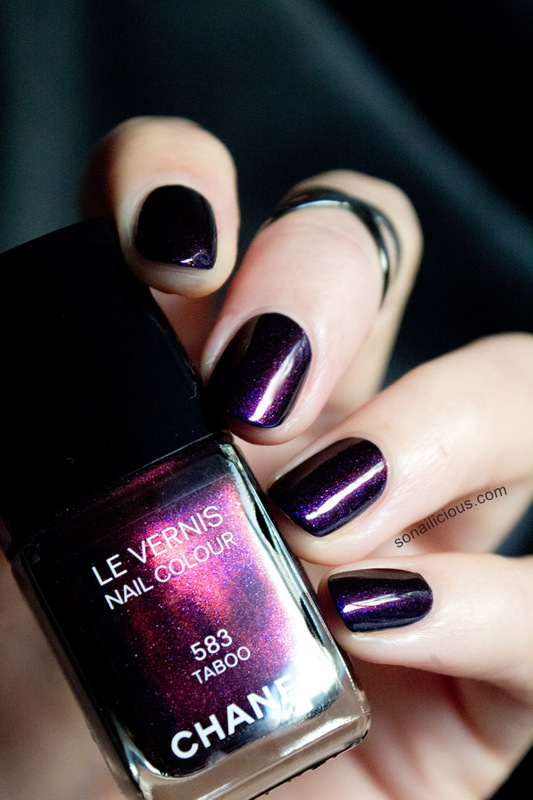 For more details on this superb this polish, read our full review below. Formula: Highly pigmented, fast-drying, 3-Free formula that goes on nails smoothly. Brush: Great brush, easy to use. Application: Thick, dense, yet very easy to apply – 1 coat is enough (pictured). 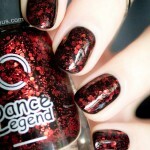 Finish: glossy creme, with a red to black holographic effect. The purple and silver glitter particles are very fine. 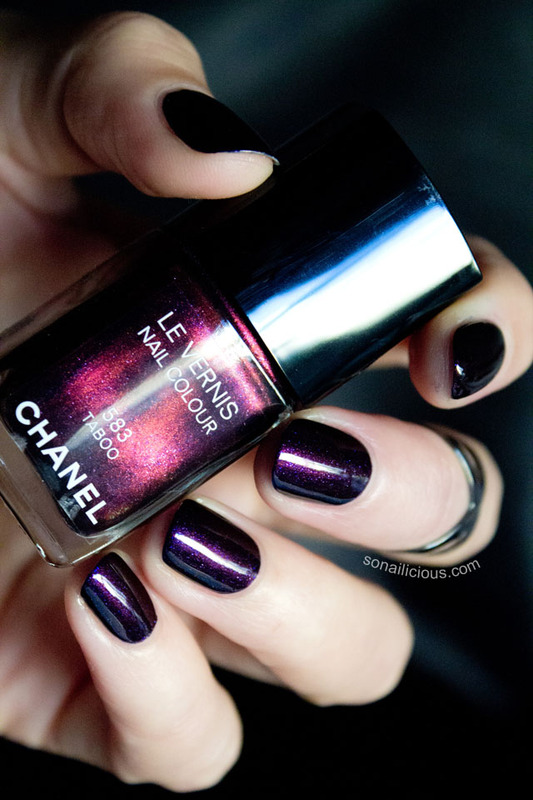 Wearability: In general, Chanel polishes don’t last. Best case scenario (with base and top coat applied) they’ll last 2 days chip free. Nail Art: Perfect for any type of nails art. 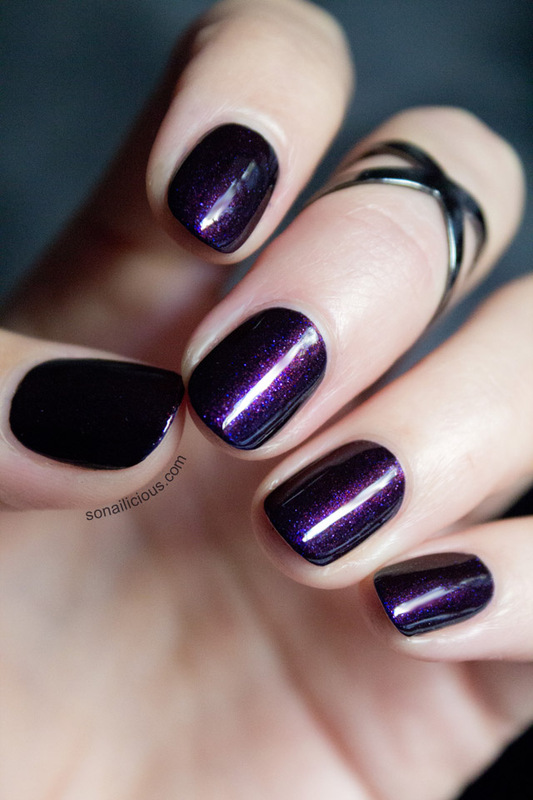 Overall Impression: If you’re after a statement dark shade with a touch of mystery, Chanel Taboo is your polish. It is relatively expensive but also quite economical because it gives a perfect finish with a single coat. Just keep in mind that, as beautiful as it is, it’s not a long lasting polish. Availability: via Nordstrom, Chanel Taboo AUS $30.35 here or in selected Chanel Beauty boutiques. How do you like Chanel Taboo? Have you tried it yet? PS. We have a new series launching on Monday, so come back tomorrow and check it out!